With a fully fit squad, Wenger’s young and exciting side have, at times, looked – against the pre-season odds – like real title contenders. They have played some cracking stuff. But with injuries to key men – Robin van Persie especially – the Gunners may find it hard to keep pace with Chelsea and Man Utd (both of whom have deeper squads). Unless Arsene Wenger bangs his head, forgets who he is, and suddenly decides to make three or four big signings this month, third is probably the best they can do in the league. Gold star: Thomas Vermaelen has adapted to English football as fast as any foreign player in recent years. He’s terrific in the air (especially given his relative lack of height), solid on the floor and has weighed in with some fine goals. An honourable mention also for Alex Song, who has come on leaps and bounds since this time last year. In detention: Eduardo has tested Arsenal fans’ patience with some very lame performances. Have battled gamely with the likes of Spurs and Man City to be the best of the non-Big Four, and after a rather unconvincing start to the campaign. Much credit goes to Martin O’Neill for injecting a real sense of unity into Villa’s relatively small squad, not to mention making some excellent signings, such as Richard Dunne and James Collins. Few Prem sides combine pace and passion to such good effect. How high can they go? With an injury-free second half of the season, fourth is not out of the question, although the safe money says they’ll be closer to the sixth place they currently occupy. The speed of their young forwards makes them a big danger on the counter-attack, particularly away from home. Gold star: James Milner has been a revelation and is now almost certain – fitness permitting – to go to South Africa with England this summer. So versatile, so committed, and still improving. In detention: Most of Villa’s squad have impressed at one time or another, although both Ashley Young and Emile Heskey took time to get going after indifferent starts. Steve Sidwell continues to leave me with that ‘meh’ feeling. I have criticised Alex McLeish in the past, and so have those Birmingham fans disillusioned with the less-than-exciting 4-5-1 set-up, but fair play to Big Eck for whipping the Bluenoses into remarkably fine shape, and all on a shoestring budget – they may not score many, but they concede even less and work like demons for the cause. To have bagged 32 points already is way beyond all expectations and predictions. It will be interesting to see how McLeish does now that Carson Yeung’s cash is available – some managers can’t handle a big transfer budget – and there is a case to be made that the club does as little as possible in January to change a winning formula. 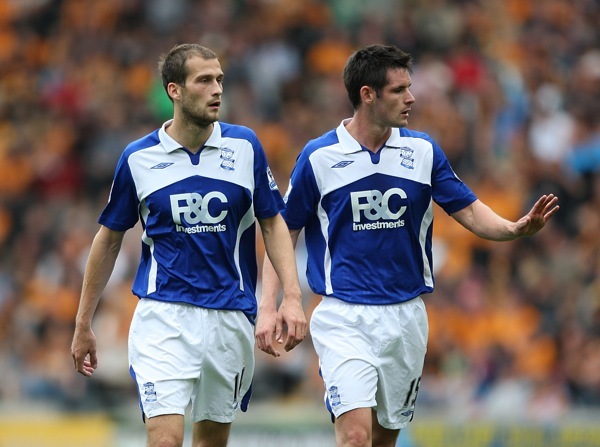 Gold star: Several candidates for honours in Birmingham’s squad, but Roger Johnson and Scott Dann deserve a special mention together. Both defenders have stepped up from the Championship without breaking stride and have formed one of the most consistent central-defensive pairings in the league. Lee Bowyer also merits a line, this time for the right reasons. In detention: Not easy to single out a dud in a class of overperformers. Cameron Jerome remains frustratingly inconsistent. That said, he is in my fantasy squad, so what do I know? Rovers are the classic mid-table Prem side: organised, physically competitive and usually tough to beat, especially on their own patch. In a word: Yawn. I wouldn’t pay to watch any Sam Allardyce side, but at least Rovers fans know they are in little danger of going down. 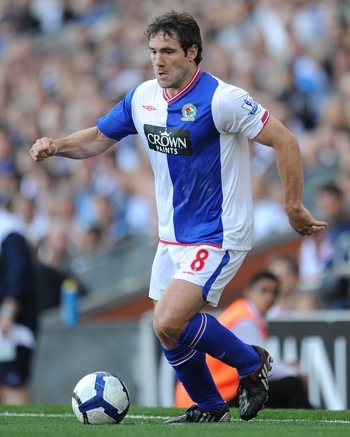 Blackburn’s biggest problem is a blatant lack of quality strikers and creative midfielders; at the back, with Chris Samba, Paul Robinson and skipper Ryan Nelsen, they’re fine. Gold star: David Dunn has been the one bright spark for Rovers. He’s in the form of his life and has even been linked with an England call-up. Not that he strikes me as the type of player who Fabio Capello fully appreciates. In detention: All of their forwards. See me after class for extra shooting practice. Since the departure of Sam Allardyce (nice one, Mr Gartside) in 2007, Bolton have slowly been slipping towards the Championship. Gary ‘The Undertaker’ Megson’s sacking was inevitable and necessary – by many accounts, he was a very unpopular man in the dressing room and when, recently, he wondered aloud if he actually wanted to sign the impressive Ivan Klasnic on a permanent deal from Nantes, you could hear Trotters’ fans groan as one. Owen Coyle will bring some new hope and vitality to a squad that has been desperately short of morale for the first half of the campaign. Under Coyle, I think they’ll escape the drop – I call 15th. Gold star: Gary Cahill is having a more-than-decent season and has done his England chances no harm. In detention: Two words. Sounds like ‘Cat Fight’. Part two (Burnley, Chelsea, Everton, Fulham, Hull) posted tomorrow. So same old same old. Arsenal will be a point behind Chelsea after tomorrow with 9 or 10 players out having had the worst injuries of anyone this season (bar perhaps Everton). So what mark do we get? Less than Birmingham lol. What’s worse, Aston Villa were supposed to be breaking into the top four at our expense, are nowhere near doing so (and if they do it won’t be at our expense). So what do they get? The same score Arsenal. Can’t wait to see what score you give Man U and Chelsea, I’m sure they’ll be top of the class. And people wonder why Gooners think the press are against them….what a joke. A- is still a damn fine mark, Mike. Arsenal are a big four club, so we hear. They’re third currently. I think A would have been a tad generous. Relatively, I think you’ve been slightly outperformed by Birmingham. Defensive, much? haha, this is interesting, sorry the leagues leading goal scorers, who are only third due to different games played. if they win the game in hand then they are second by a point behind chelsea. and that without some of there most influential players- ie their strikers. surely on that analysis A- is a tad harsh. but i guess it would be hard to encourage good football. Coyle would be a good fit for Bolton; he should really be able to capitalize on the dynamic Lee Chung-Yong/Klasnic combination.